Cold or cool (depending on where you live) winter days invite me to settle down with a good book in a setting like the featured art print. 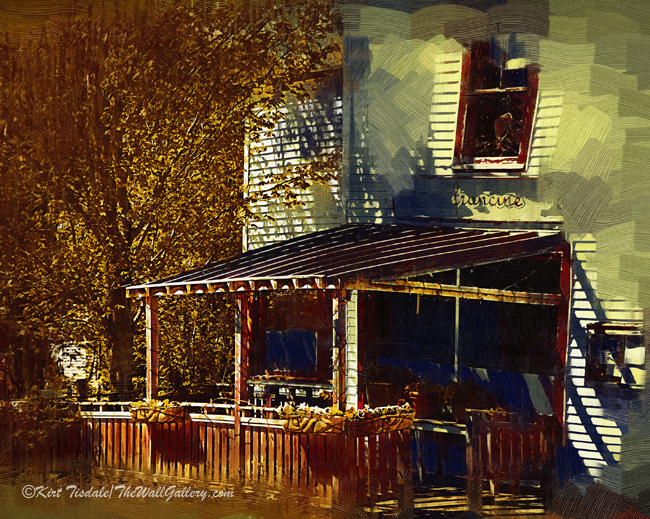 I love the type of sun porch you find in old Victorian homes, which is the basis for the art print I created. While touring this old mansion, I grabbed a shot of this room and wanted to create a print that relayed the feeling I expressed above. 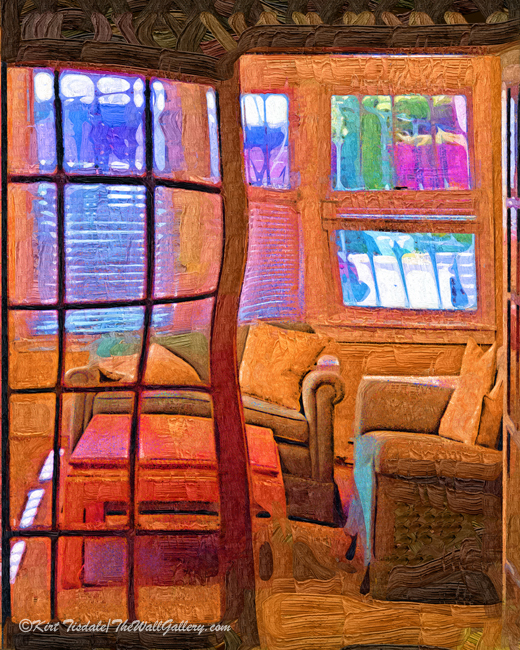 Using a fauvism technique I wanted to create a unique look for this room, but still keep the same inviting feeling. I liked the composition of the french doors, one open and one closed to highlight the entry into the room. 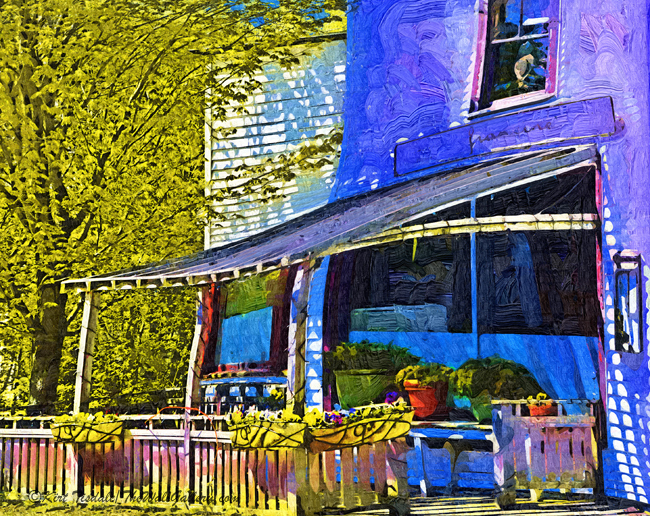 I love color and abstract interpretations of common scenes, so using a fauvism technique, what was a typical common entry into a sun porch became a little bit more inviting and interesting. Thoughts? 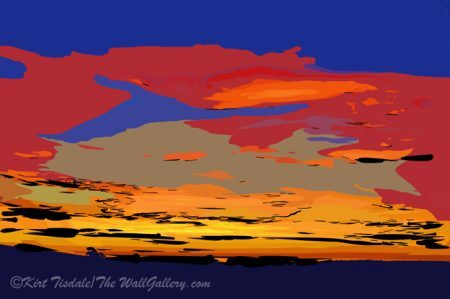 This entry was posted in Abstract Oil, Art Prints and tagged abstract art prints, artist kirt tisdale, fauvism, interior design, online art gallery, sun porch, Victorian Mansion on January 15, 2018 by Kirt D Tisdale. 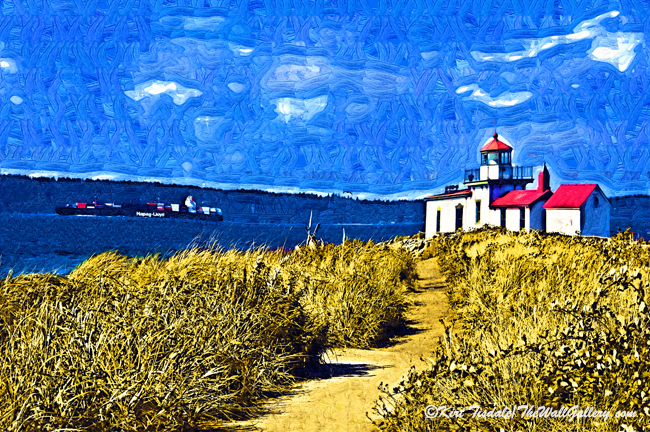 I featured West Point Lighthouse in Seattle a couple of years ago with some of the photographs I took while visiting the site. It sits on a piece of land that juts out into the Puget Sound and marks the northern most tip of Elliot Bay (Elliot Bay is the body of water that lines the downtown area). More info: here. I created these three art prints using a fauvism technique. For those not familiar with this style, it is a bold style created in the early 20th century by artists who wanted to express emotion with their subjects using surreal colors and painterly techniques creating the subject matter. More info: here. 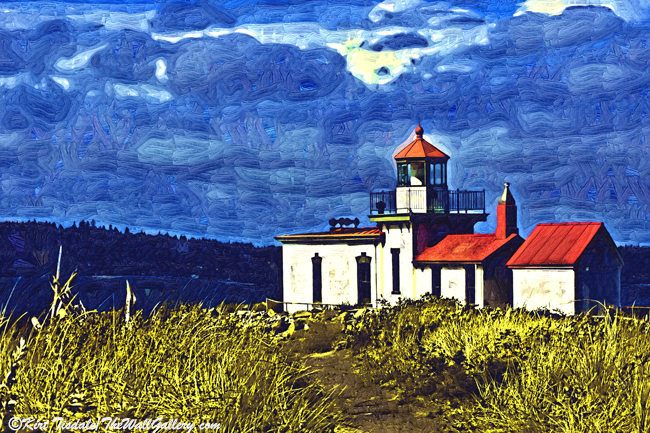 These three prints represent the lighthouse from the same angle, but from different distances. 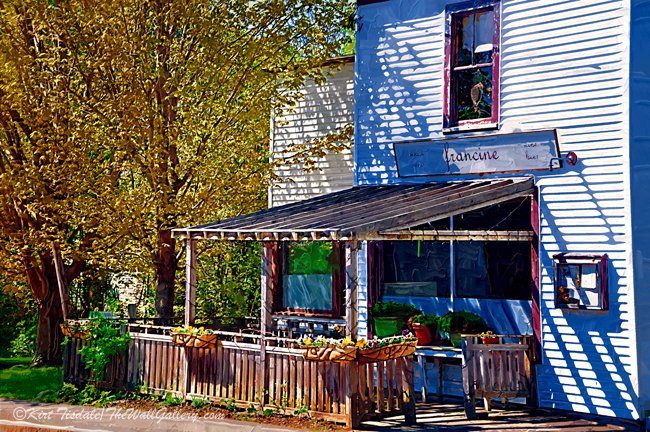 Each distance creates its own composition and delivers a slightly different story. Thoughts? 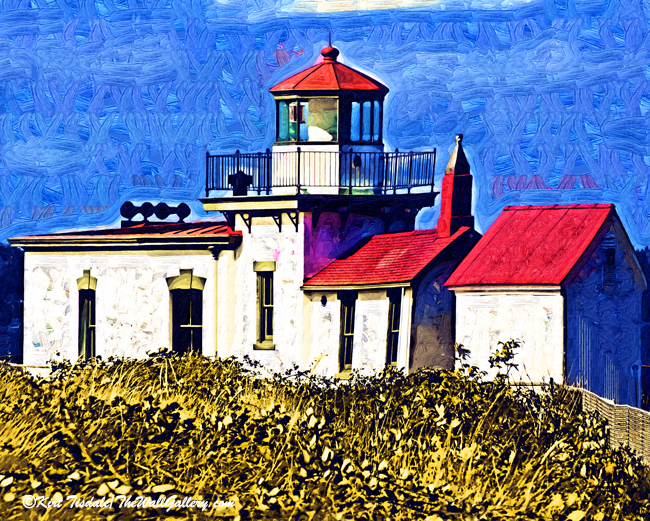 This entry was posted in Abstract Oil, Landscapes: Oil and tagged artist kirt tisdale, fauvism, interior design, lighthhouse, online art gallery, puget sound, seattle, West Point Lighthouse on December 11, 2017 by Kirt D Tisdale. 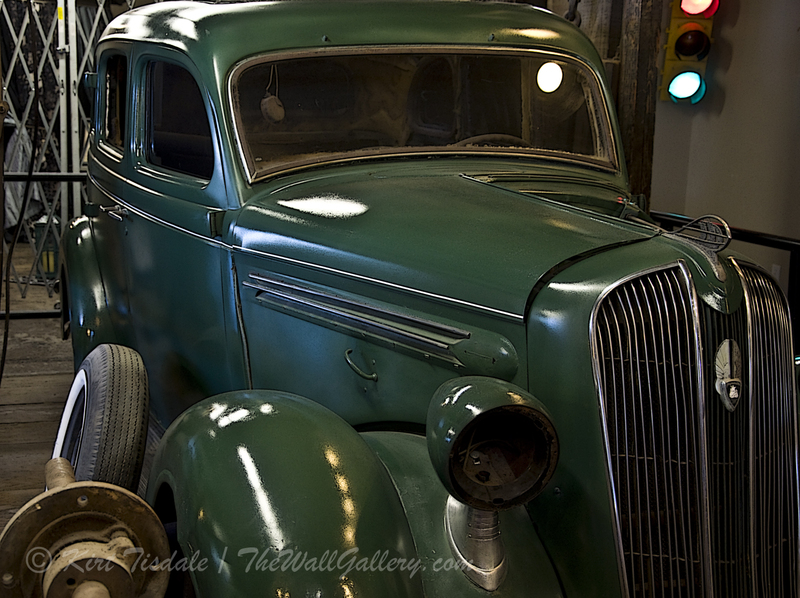 I wanted to share a couple of prints that I just added to my Foral/Still Life Gallery. Both are flower blooms and both are done using a Fauvism style of presentation. Fauvism was introduced to the art world around 1900 and the formal movement lasted only a few years, but the style that was introduced has been copied and integrated into other styles, keeping the concept alive. The elements involved are surreal colors and abstract shapes and presentation styles. I like this particular type of art as it creates a type of abstract art that is colorful, edgy and whimsical. 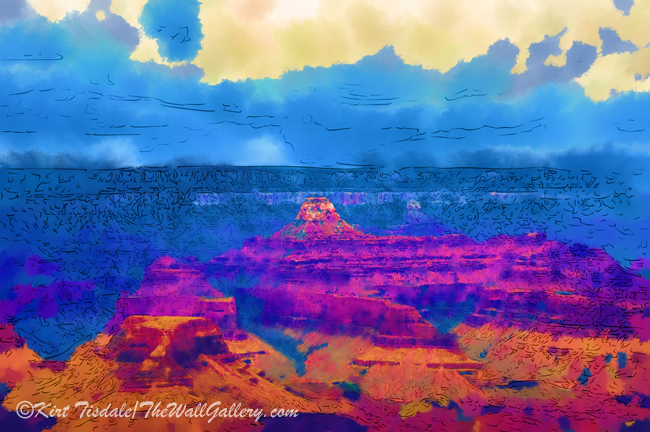 That type of combination is usually not correlated with each other, but my thought is that the more abstract shapes of the subject create an edgy look, yet the surreal colors create a fun whimsical visual experience. I have spent a fair amount of time trying to mimic the look in many of my prints and here are two examples. The first print is an orange hibiscus bloom. Simple enough, yet I integrated a bold level of yellow to accent the orange in the bloom. Also notice the vivid blue (almost purple) in the background. 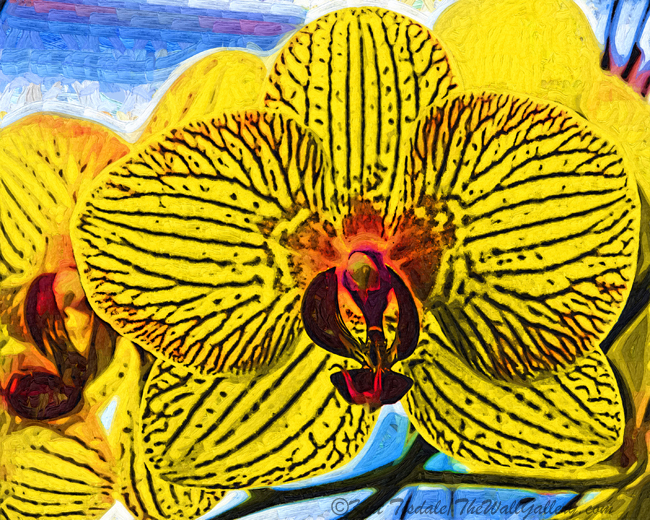 The second art print is of a yellow orchid bloom. 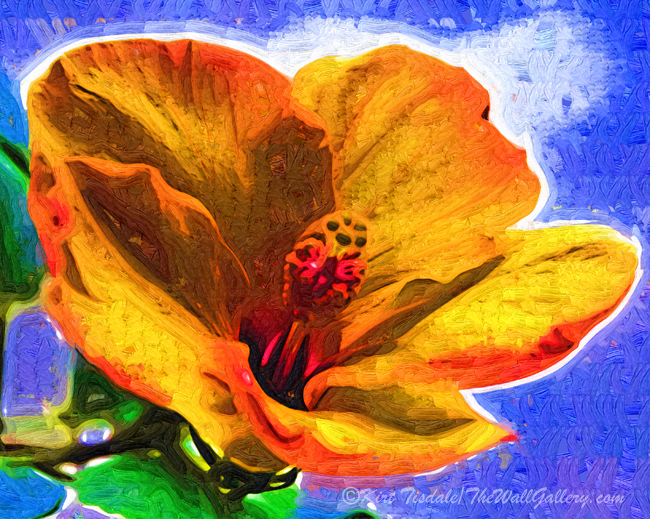 Again, I saturated the yellow color and exaggerated the veining in the bloom, creating a bright cheerful art print. I invite you to visit my Floral/Still Life Gallery to enjoy these prints and many more. This entry was posted in Abstract Oil, Art Prints and tagged abstract, art, artist kirt tisdale, fauvism, floral, flowers, hibiscus, interior design, online art gallery, orchid on August 12, 2015 by Kirt D Tisdale.